Like the idea of being able to barbecue without the mess? Barbecue grill mats bring ease to the process of grilling on the barbecue and eliminate the worry of food falling through the grates. This means you can grill delicate, small foods such as vegetables, fish cheese, eggs and much more! You can even add sauces and nothing will drip through. A barbecue grill mat will also allow meats to hold their juices so you can still achieve that deliciously rich barbecue taste. A non-stick barbecue grill mat is a fibre glass cloth covered with a non-stick, heat resistance coating of polytetrafluoroethylene (PTFE). They can be used for Charcoal, Electric and Gas Grills. They are also super-easy to clean and dishwasher safe, you can use them again and again! Polytetrafluoroethylene (PTFE) has been officially approved by the FDA as safe and suitable for temperatures below 500 degrees. 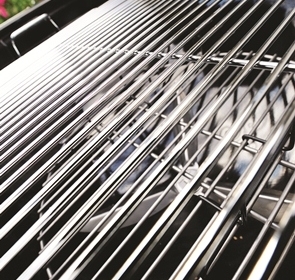 Barbecue grill mats will even improve safety around the barbecue because they don’t produce any ‘flame up’ or spitting coals, which can often happen when grilling on grates. Furthermore, they are safe to clean by hand or in the dishwasher. How do I use a BBQ grill mat? Overall, a barbecue grill mat is much easier to use than a grill pan and is more effective than aluminium foil that rips when you flip your food. Simply lay your grill mats directly onto the grill grates on your barbecue and place your food on top to start grilling! It’s as simple as that, you don’t even need to add any butter or oil to the mat. So, if you would like an easy way to barbecue without the mess, why not invest in a barbecue grill mat before the Summer ends? 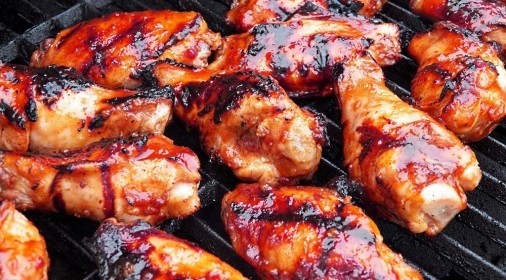 If you’ve been without a grill mat and your barbecue is looking a little worse for wear, our barbecue cleaning service can make your grill look sparkling clean again in just a few hours! Call us on 0800 840 7127, or complete our online form for your free quote.